Today on guardianconstructions i will be discussing on how to calculate the number of blocks required for your 3 bedroom flat. This estimate would be based on the fact that a lot of my readers have been asking questions on how they can calculate the number of blocks required to build a 3 bedroom flat. In order to calculate the number of blocks required, there is need to to have a plan at hand. The plan is what is required to work out the number of blocks for any building construction since all building dimensions are never the same. Plans are important because they would show completely what the client's needs are. 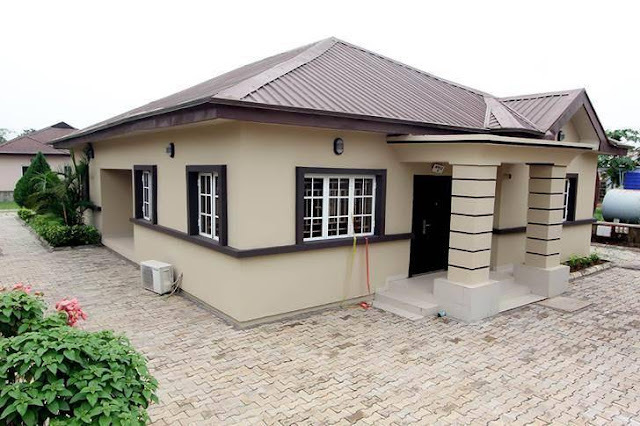 SO How many Blocks Do i need to build 3 bedroom flat? 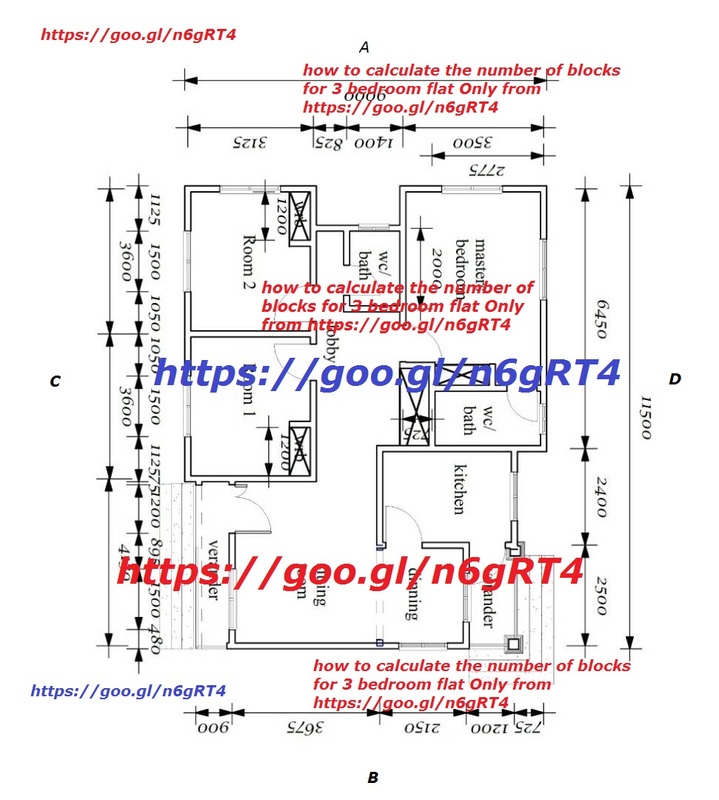 Having Known these points, lets now answer the question "How to Calculate the number of blocks needed for a 3 bedroom flat"
Remember we are going to be using the 6 inches block or 150mm sandcrete blocks all through the building. Now the first thing to do is to add up all the external and internal dimensions from the architectural plan above. 82425/450 = 183 block/coach (This means for every coach, we would need 183 blocks). from Lintel to the base of the roof or Gable = 3 coaches. What Are Voids In A Building? They are not usually covered with blocks thus the name. How many 1200 windows do we have in the building? so the number of blocks to be subtracted for windows = 8 x 22 = 176 blocks. What is the Dimension for doors in a building? How many Blocks do i deduct for a 900mm door? How do i calculate the number of blocks deductable from a door? Now For a 1200mm door, lets see how to work out the number of blocks for a 1200mm door. Now How many doors are there in a 3 bedroom flat? I hope you found this useful in your practice as a site engineer, Architect or an estimator. 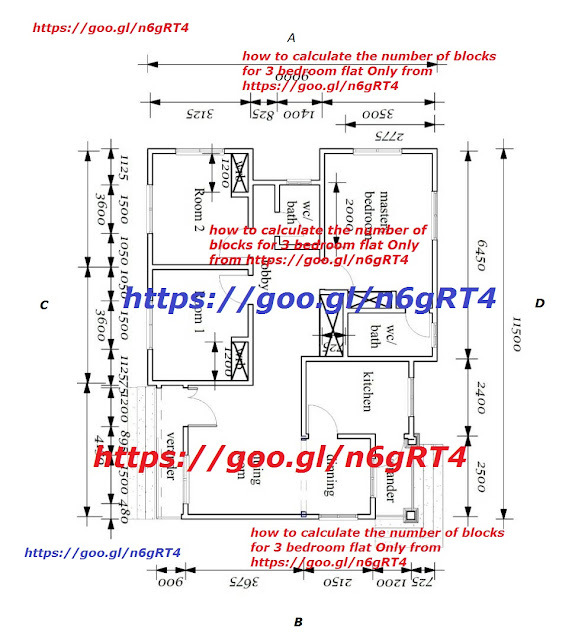 Now i hope i have been able to answer the question "How to calculate the number of blocks required to build a 2 Bedroom flat" and i hope you will found this useful.